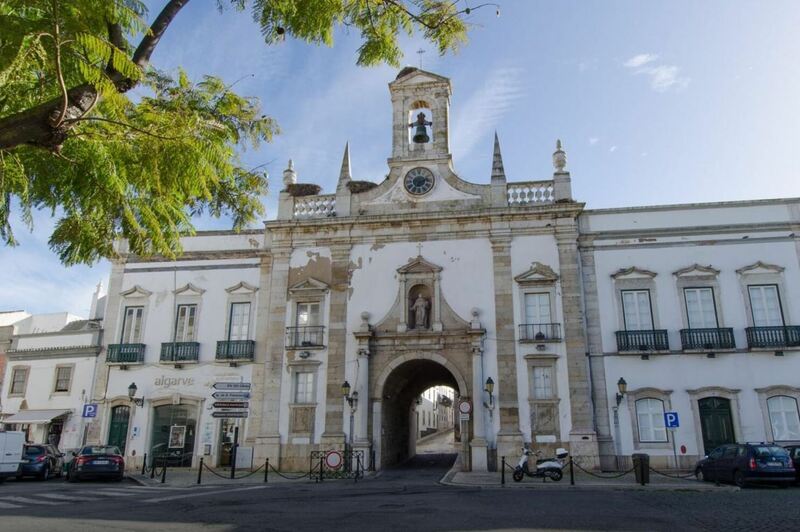 Arco da Vila is the town gate of Faro. It is one of the entrances to the old town. 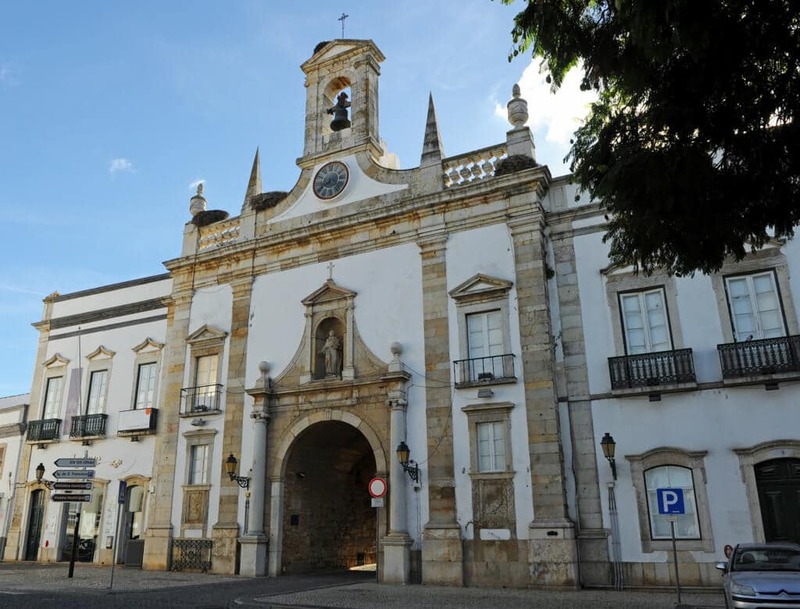 In this article you can read all about Arco da Vila and its origin. The origins of Faro’s original walled settlement are well documented as from the 4th century BC. However, they may go back to the 8th – 7th century BC. The walled city had two main entrances and this was one of them. In the Roman period, the main road which connected West and East of the Algarve passed through this entrance. From the Moorish period (8th – 13th century AD) there is still a side entrance with a horseshoe arch on the inner right side of the present entrance. You can see that the streets back then were deeper than today. 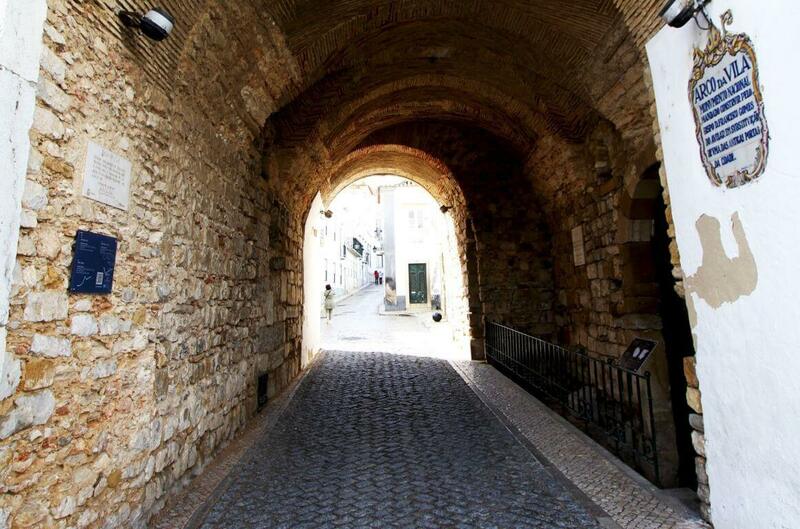 This Moorish arch was part of the medieval entrance of the town, called Portas da Rainha (translation: Queen’s Gate). This arch was partially destroyed by the earthquake of 1755. The Guide of Portugal by Raul Proença published in 1927 (and the most complete guide about Portugal to date) speaks about this arch in the following terms: “inside Arco da Vila, on the right, one can see an Arabian arch framed by a wall”. This is evidence that the horseshoe arch was visible in that time, although the inner part of Arco da Vila was entirely covered by plaster, which has been removed in 1992 in order to make the medieval past of Arco da Vila visible for visitors. The present monumental façade of Arco da Vila was built by the Genoese architect Francisco Fabri. It was inaugurated in 1812, following the reconstruction works after the earthquake of 1755. 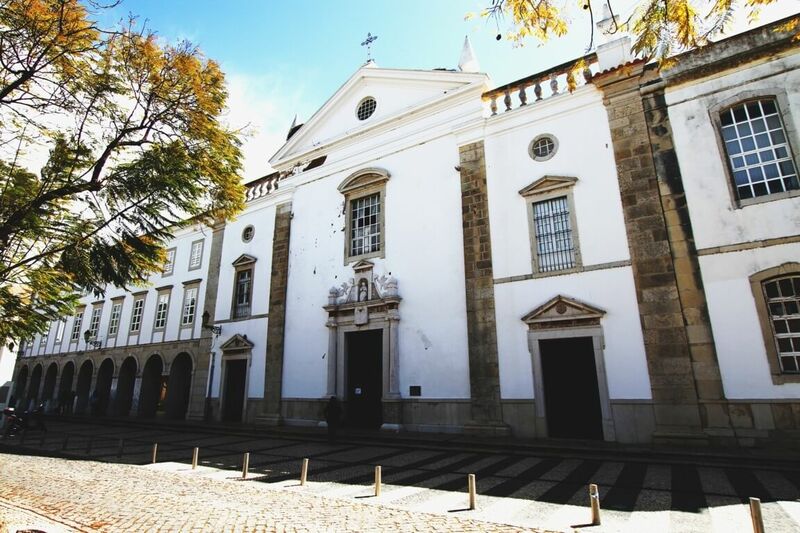 The building must be understood as belonging to a vaster set of buildings as the former Misericórdia Hospital and the Misericórdia Church nearby. To the left of the entrance, the building which houses the Tourist Office. The middle part with the gate and above it the statue of St. Thomas Aquinas, protector of the town. On top of the gate you will find a small elegant bell tower. To the right of the entrance, you can see another building. 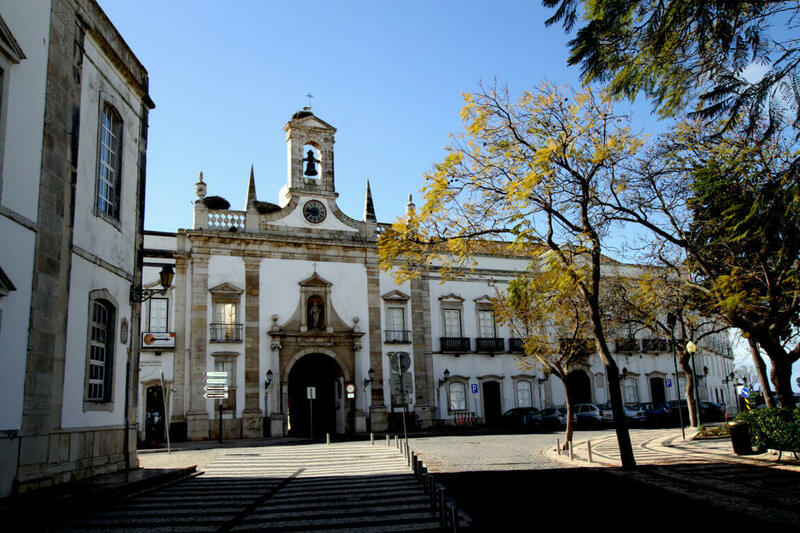 This building housed the Civil Government of the Algarve for centuries until only a few years ago. Some storks’ nests can be seen on top of the building. Storks are an ex-libris of Faro. We advise you to first observe or photograph the building from outside. Here you have the best perspective of Arco da Vila. Then cross the road and enter the arch. Inside, on the right side you see following glazed tile inscription. 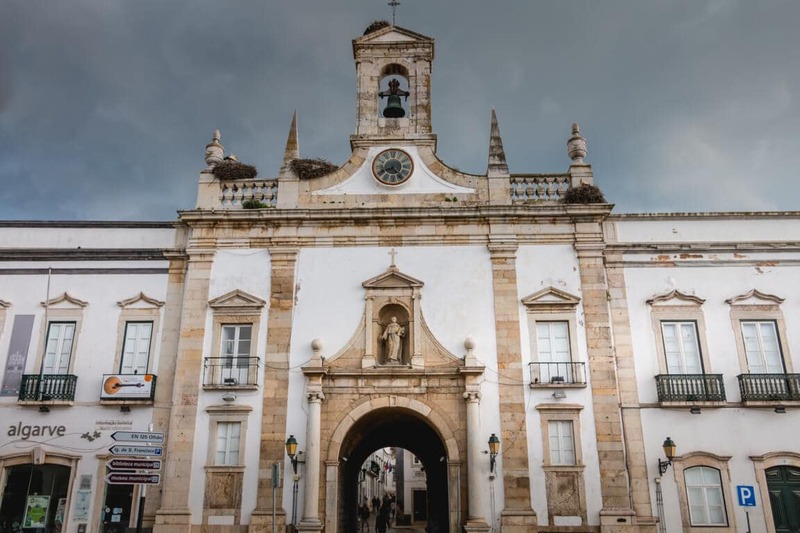 The translation is ARCO DA VILA (Town’s Gate) – National Monument ordered to be built by Bishop Francisco Gomes de Avelar replacing one of the old city gates. 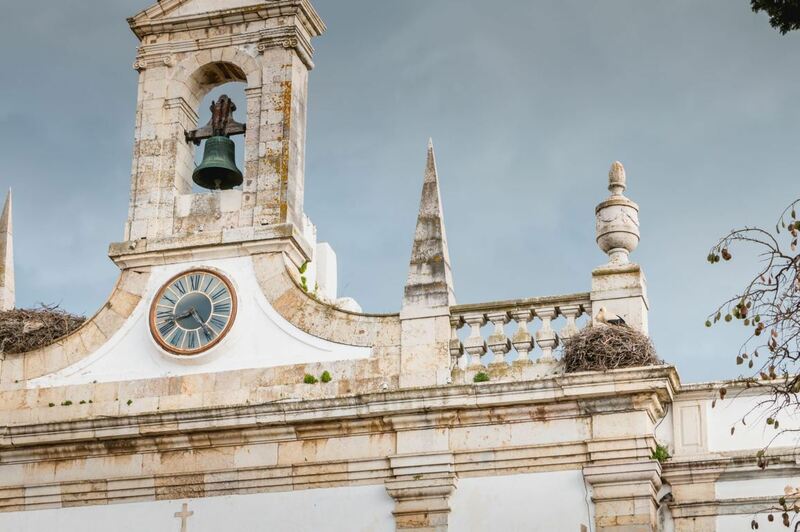 It reminds that the reconstruction works after the earthquake of 1755 were led and financed not by public, but by religious authorities, concretely the Bishop of the Algarve, D. Francisco Gomes de Avelar. 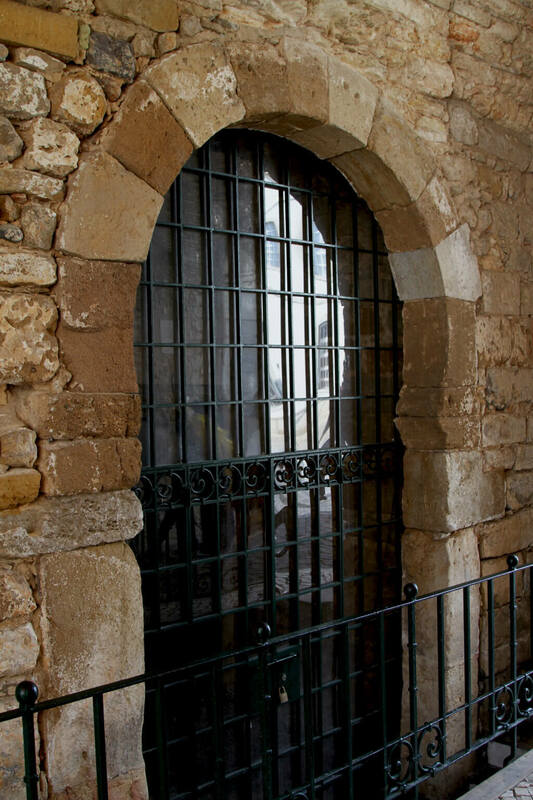 It should be noted that the reconstruction of the town’s gate was primarily the reconstruction of the outer facade, not the inner part of the gate, which is from the medieval period. Since the gate was restored in 1992, the inner part of the gate is free of the 19th century plaster that covered it before. This makes it easy to recognise the medieval entrance of the town. Once inside the Arco da Vila, you can see the old stone-built walls on both sides and the medieval horseshoe arch from the Moorish period on the right side. The ceiling, built with bricks is divided into four sections. The fact that the arches and ceilings that divide the sections are very irregular and do not follow balanced regular lines is evidence of adaptations from different historical periods. The two inner arches of the ceiling are wider and older. The first and last arches date back from a later period and are probably an adaptation from the 19th-century reconstruction of the outer sides of the gate.